Gedarel is a combined contraceptive pill. If you have been taking Gedarel for at least 3 months you can use our convenient service to order your repeat supply online. We offer both Gedarel 20/150 and Gedarel 30/150. To place your order, fill in our brief questionnaire and select the pill you are taking. 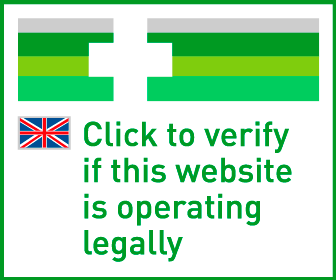 One of our online doctors will review your order and approve appropriate treatment. If you take the Gedarel pill correctly, it works as an effective form of contraception. Gedarel is also completely reversible, meaning that if you want to stop taking it and try to get pregnant, your chances of conceiving will not be affected at all by any past use of the pill. Remember! Taking the oral contraceptive pill does not protect you from any sexually transmitted diseases. Make sure to always use a condom alongside the pill to do this. Gedarel should be taken daily for the first 21 days of your cycle. Every pack of Gedarel contains 1 calendar strip of 21 tablets to be taken once a day. Each tablet is marked on this strip with a day of the week, and an arrow is printed alongside to show you in which direction to carry on taking the rest. Take one tablet a day for 21 days until the strip is empty. For the remaining 7 days of that month you have a ‘break’ period when you don’t take a pill. On the 2nd or 3rd day of this ‘break’ you will usually experience some withdrawal bleeding, which imitates your monthly period. After these 7 days, you should take the first pill in your next strip on the 8th day, even if the bleeding hasn’t yet stopped. If you’ve taken Gedarel properly, you will start each new strip on the same day of the week every month and should have your breakthrough bleed on the same day of the week in that month, too. Try to take your Gedarel pill the same time every day, in the morning when you wake up or before you go to bed, for instance. 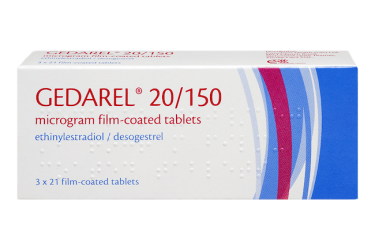 If you are new to Gedarel, always take your first pill on the first day of your cycle (the first day of your period bleed) and follow the marked days of the week on the pack until the strip is empty. For the first 7 days of this first pack, we recommend using condoms alongside Gedarel to keep you safe from risk of pregnancy while your body adjusts to the changes in hormone level. What if I forget a pill? If you forget to take your Gedarel pill less than 12 hours later than planned then your protection against pregnancy will not be reduced. Take your pill as soon as you remember to do so and carry on the next day at your usual time. If you forget to take any of your pills and you don’t get your usual bleeding in the 7-day tablet-free period then this may mean that you are pregnant and you should speak to your doctor before continuing to use Gedarel. What if I am sick (vomiting) or have diarrhoea? If you vomit or have severe diarrhoea within 3-4 hours of taking your Gedarel tablet then there is a chance that the active hormones in the tablet will not yet have been absorbed into your body. You should take another tablet from a spare strip of pills as soon as possible if you are better within 12 hours of normally taking the pill. If you don’t get better within 12 hours, follow the instructions for when you forget to take a pill (above). Can I delay my monthly bleeding with Gedarel? You can delay your monthly ‘withdrawal’ bleed with Gedarel by skipping your tablet-free 7 day period and starting the second strip straight away. You might experience some spotting or breakthrough bleeding while using this second strip, but this isn’t anything to worry about. Talk to your doctor if you want to do this for more than three months but, remember, your withdrawal bleed isn’t in fact a real period, so it’s not an unhealthy thing to do. The active ingredients in your Gedarel pills are ethinylestradiol and desogestrel. One film-coated tablet will contain 30mcg ethinylestradiol and 150mcg desogestrel. The other ingredients in these pills include: stearic acid, potato starch, all-rac-alpha-tocopherol, magnesium stearate, lactose monohydrate, silica colloidal anhydrous, povidone K 30. The pills themselves are coated with Macrogol 6000, Hypromellose, and propylene glycol. These side effects will affect more than 1 in 1,000 women but less than 1 in 10 women using Gedarel. These side effects will affect less than 1 in 1,000 women using Gedarel. Make sure to talk to your prescribing doctor or nurse about your medical history and any current medication you are on before taking the Gedarel pill. Speak to your doctor before using Gedarel if you have epilepsy, Crohn’s disease, IBS, immune diseases, depression or diabetes. Experience any of the severe reaction or symptoms listed above. Was working too much to go to the doctors and this service is such a life saver! Arrived very quickly and was very easy to order, would definitely recommend.